Ananda is a gifted singer, visionary painter, architectural artist and meditation teacher. Born and raised in Germany, she has been a teacher of the Art of Living for many years, also teaching Advanced Courses and Sahaj Samadhi meditation classes throughout Europe. Her knowledge of Vedic literature and philosophy is extensive, and she is well known for her beautiful Devi paintings and drawings, which shine with an illuminated beauty. Her work in architecture design can be seen at the Art of Living ashram in Bangalore. Ananda first met Craig Pruess in 1993, during an Art of Living Advanced Course with Sri Sri Ravi Shankar in Switzerland, and the completion of this CD has been the fulfillment of much planning and divine goodwill. Craig has been active in most aspects of the music and recording industry for over 25 years, with a Grammy Award nomination for record production, an EMMY Award for TV music, and in 2002, the original music score Craig composed for the UK film “Bend It Like Beckham”. Production and arranging credits for artists such as Sir Cliff Richard, Anu Malik and Massive Attack only give one aspect of Craig’s work and vision. 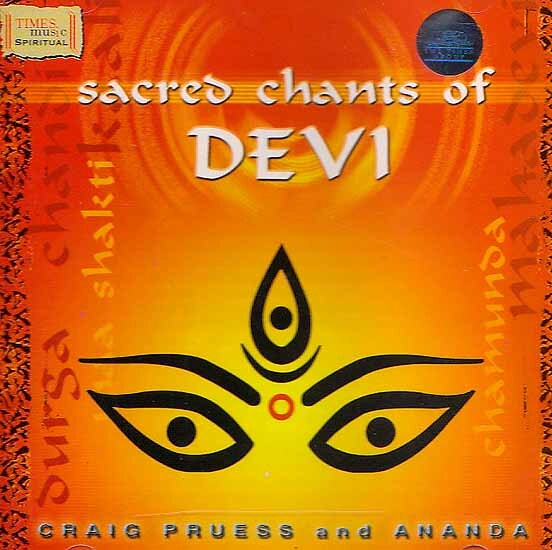 Being a serious student of Indian classical music, combined with his own meditation and yoga practice over many years, Craig’s dream was to create the Sacred Chants series. “Sacred Chants of Shiva” was released in 1997 and then Buddha, Rama, and now “Devi”. Craig is an American, living in Britain since 1973, and he has been an Art of Living teacher since 1995, first meeting Sri Sri Ravi Shankar in 1980.